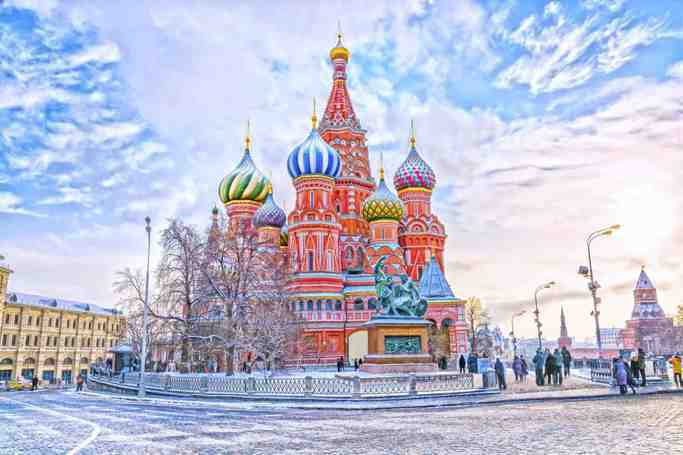 The Moscow Kremlin, sometimes referred to as simply The Kremlin, is a historic fortified complex at the heart of Moscow, overlooking the Moskva River (to the south), Saint Basil's Cathedral and Red Square (to the east) and the Alexander Garden (to the west). It is the best known of kremlins (Russian citadels) and includes four palaces, four cathedrals, and the enclosing Kremlin Wall with Kremlin towers. The complex serves as the official residence of the President of Russia. The name The Kremlin is often used as a metonym to refer to the government of the Soviet Union (1922–1991) and its highest members (such as general secretaries, premiers, presidents, ministers, and commissars), in the same way the name Whitehall refers to the British government, or White House refers to the executive branch of the government of the United States. It is still used in reference to the government of the Russian Federation. "Kremlinology" referred to the study of Soviet policies. The Soviet government moved from Petrograd to Moscow on 12 March 1918. Lenin selected the Kremlin Senate as his residence, and his room is still preserved as a museum. Stalin also had his personal rooms in the Kremlin. He was eager to remove from his headquarters all the "relics of the tsarist regime". Golden eagles on the towers were replaced by shining Kremlin stars, while the wall near Lenin's Mausoleum was turned into the Kremlin Wall Necropolis. The Chudov Monastery and Ascension Convent, with their magnificent 16th-century cathedrals, were dismantled to make room for the military school and Palace of Congresses. The Little Nicholas Palace and the old Saviour Cathedral were pulled down as well. The residence of the Soviet government was closed to tourists until 1955. It was not until the Khrushchev Thaw that the Kremlin was reopened to foreign visitors. The Kremlin Museums were established in 1961 and the complex was among the first Soviet patrimonies inscribed on the World Heritage List in 1990. Although the current director of the Kremlin Museums, Elena Gagarina (Yuri Gagarin's daughter) advocates a full-scale restoration of the destroyed cloisters, recent developments have been confined to expensive restoration of the original interiors of the Grand Kremlin Palace, which were altered during Stalin's rule. The Patriarch of Moscow has a suite of rooms in the Kremlin, but divine service in the Kremlin cathedrals is held irregularly, because they are still administrated as museums. The existing Kremlin walls and towers were built by Italian masters over the years 1485 to 1495. 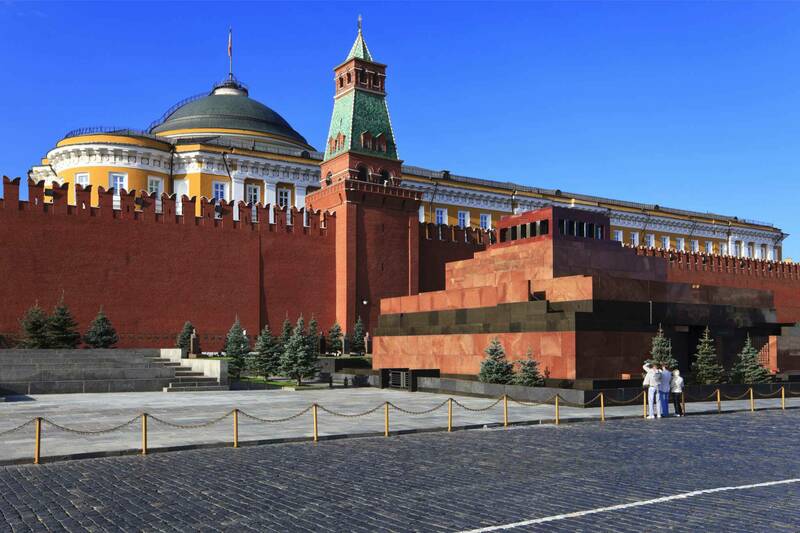 The irregular triangle of the Kremlin wall encloses an area of 275,000 square meters (68 acres). Its overall length is 2235 meters (2444 yards), but the height ranges from 5 to 19 metres, depending on the terrain. The wall's thickness is between 3.5 and 6.5 meters. Originally there were eighteen Kremlin towers, but their number increased to twenty in the 17th century. All but three of the towers are square in plan. The highest tower is the Spasskaya, which was built up to its present height of 71 metres in 1625. Most towers were originally crowned with wooden tents; the extant brick tents with strips of colored tiles go back to the 1680s. The other notable structure is the Ivan the Great Bell Tower on the north-east corner of the square, which is said to mark the exact centre of Moscow and resemble a burning candle. Completed in 1600, it is 81 meters (266 ft) high. Until the Russian Revolution, it was the tallest structure in the city, as construction of buildings taller than that was forbidden. Its 21 bells would sound the alarm if any enemy was approaching. The upper part of the structure was destroyed by the French during the Napoleonic Invasion and has, of course, been rebuilt. The Tsar bell, the largest bell in the world, stands on a pedestal next to the tower. 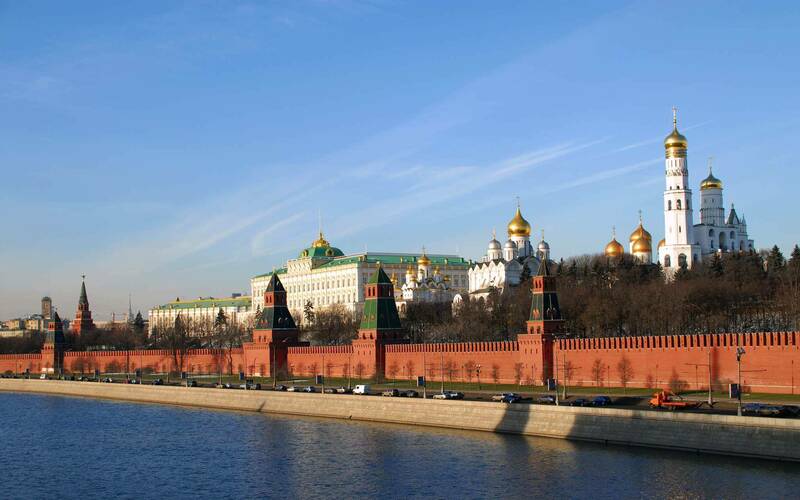 Moscow Kremlin | eTips Inc.